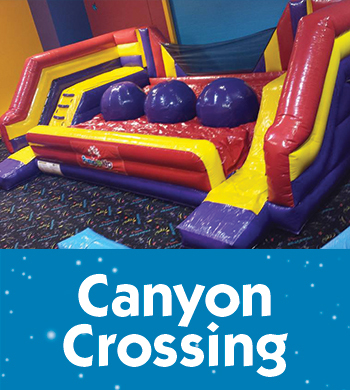 Make your birthday party that much more special - Call and book today! 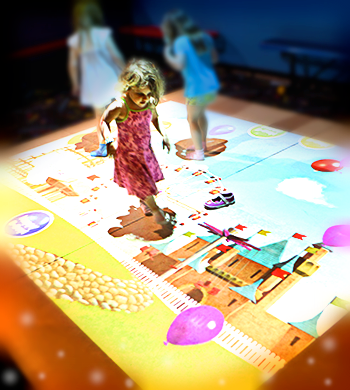 Turn off the lights and turn up the FUN with our Glow in the Dark party. 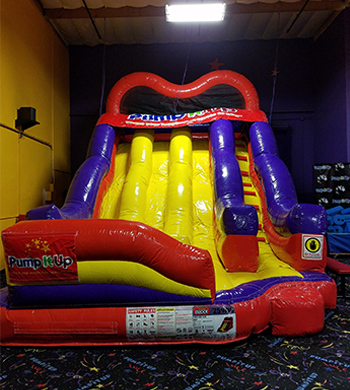 We can turn any party or event into a GLOW crazy venue! 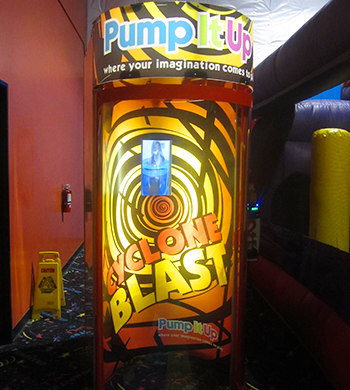 While our black lights illuminate the arenas, our special effect lights will kick in to enhance your experience! 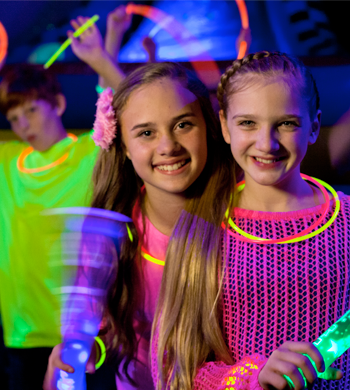 Every GLOW party/event includes glow a glow necklace for every paid guest and a special glow gift for the guest of honor. 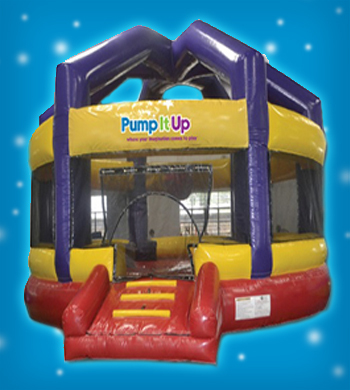 Bubbles will surround you in our 2nd arena with this newly added attraction. 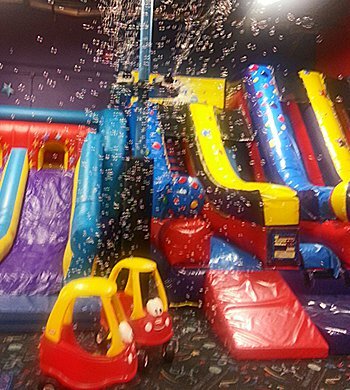 We will pump your party full of Bubbles to see who can pop the most bubbles ever! 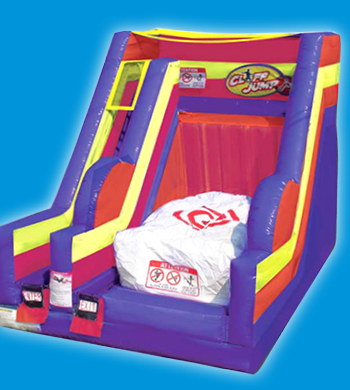 Race your friends and family to determine who will be victorious! 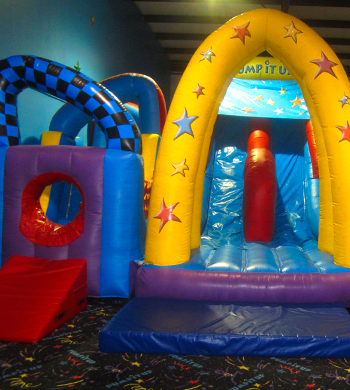 Our obstacle course will provides tons of excitement and a smooth slide to the finish!